Why am I showing a video of rifles being modified to comply with California gun laws? Because with all the new talk about gun control, California is being looked at as the model for gun laws for the rest of the country. The sheer nonsense and poorly thought-out reasoning of all this is likely coming to a state/city near you, so I wanted to use their example to give you a preview of things to come. California is the home of some of the most Draconian and worthless gun laws in the nation, but it's not surprising that other states, in their haste to "do something," would quickly adapt their model. There are various accounts in gun control lore about California Senator Diane Feinstein deciding what types of guns to try to ban simply by picking up a gun magazine and circling all the pictures of guns that had "scary" or "evil' features. Adjustable/foldable stocks, pistol grips, flash hiders, forward grips, detachable magazines, and even the infamous "barrel shroud" are all "features" of what she calls an "assault weapon" and all seem to make the gun more "shootier" to her. So she wants to ban these features. Actually, she wants to ban ALL guns. But that pesky U.S. Constitution keeps getting in the way. First off, these laws concerning firearms configuration are "engineered" by people who know nothing about firearms or firearms safety and are simply reacting to the fact that firearms are "scary" looking. This is simply more of the "we gotta do SOMETHING" mentality, even if that something is meaningless or even dangerous. The fact of the matter is that some of these modifications are just downright dangerous to the operator and those around him/her. Things like certain handgrip modifications that make it easier to drop a rifle or fixed magazine modifications that make it more dangerous to clear certain types of firearms malfunctions all lend themselves to situations where people can get seriously hurt. I'm not sure who the "experts" are that these people obtained when dreaming up these things, but I assure you that they just didn't think them through. But I will discuss some of these modifications in more depth in separate posts. So in this particular video, which mainly discusses "featureless rifles" and in particular different hand grips. The issue with the handgrip, according to people like Diane Feinstein, is that it allows you to shoot the rifle "from the hip." Really, Diane? Is that your concern here? 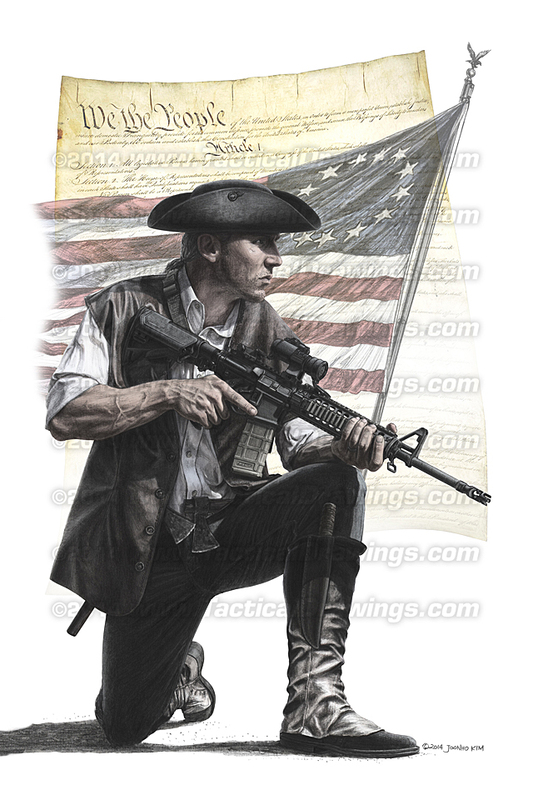 And I always thought that properly holding the rifle in a secure and safe manner would be a primary concern. I want you to notice in this video how some of these grips just don't allow the operator to securely hold the rifle. Dropping rifles is not what I call a safe practice. If you don't have time to watch the whole video right now, at the very least, go to 12:55 in this video to listen to what Chris has to say about some of these ridiculous laws, and how they only penalize the law abiding. Criminals and those with evil in their heart who want to shoot up Christmas parties, concerts, churches, or schools will not be following these laws. Stay tuned for more information and more in-depth articles. And stay involved! Here in Colorado, we have a new legislative session coming up, not to mention the 2018 elections. Now is not the time to go back to sleep. Over the years, I have had the good fortune to train with a wide variety of firearms and tactical instructors, and have learned efficient and effective gun-handling techniques from each and every one of them. The instructors that I have worked with and trained under include law enforcement, SWAT Team Leaders, NRA civilian instructors, a former Navy SEAL, and even a former Army Delta Operator. Each has their own style, and each has preferences for things such as stance, grip, front-sight focusing techniques, ready positions, malfunction clearing, and how to rack a slide. While one Sheriff’s Office SWAT Team who instructed in one of my classes was a proponent of the over-hand method for racking a slide, the Delta guy was a big fan of the “pinch” method. The SEAL taught us the high compressed ready position for moving about and looking for threats, while many of the Army guys I trained with were taught the SUL position. 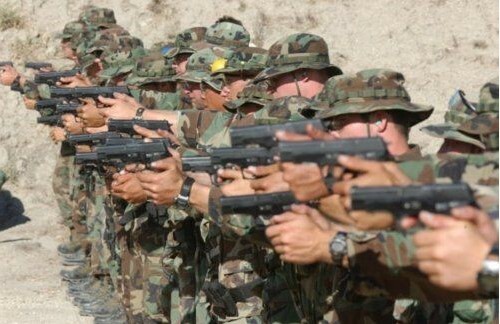 Most all NRA civilian instructors that I know teach the “tap, rack, bang” method for dealing with malfunctions, while the SEAL taught us the SPIR (Slap, Pull, Inspect, Release), then assess for threats method. Rob Pincus, a law enforcement, and Personal Defense Network instructor teaches a point shooting method for aiming at a target that does not involve front sight focus at all, while many other law enforcement and NRA instructors I have worked with insist on front-site focus all the time. And the Israeli instructors seem to teach completely different methods for everything all together. Go into the training with an open mind and a willingness to perform to the techniques being taught. Practice what is being taught and HOW it is being taught by that particular instructor. Try (at least for that moment) to forget what has been taught in previous classes, and be willing to learn a new way of doing things. Then, be able to pull everything back together and reflect afterward on what you have learned from a variety of people to put together your own menu of options that you will put into your personal training routine. These are perishable skills. Each technique requires constant practice for the buildup of muscle memory needed in order to master them. The problem is that when you go into training that teaches a different technique than you’ve already learned, you will have a tendency to use what you are already practiced in and familiar with. So don’t take it personally when the new instructor corrects you into doing it the way that is being taught in THEIR class. The purpose of learning new things is to find out what works for you and what doesn’t. You actually have to cheerfully accept the discipline that comes with these corrections to practice the movements in order see if the tools they are teaching to you are things that you want to (or even can) put into your own toolbox. There is no law that says that when you pick your techniques that you only have to pick ALL of the techniques from only ONE particular class or instructor. In other words, just because you learned something that works best for you from one instructor, it does not mean that you have to use ALL of the techniques from THAT instructor and not any of the others. For example, I prefer the SPIR malfunction clearing methods that I learned from the SEAL over the tap/rack/bang method that the NRA people teach. I alternate between the “pinch” and “overhand” slide rack techniques, depending on the necessity of the situation and arthritis in my hands. I practice both. The holster draw that I learned from the Delta guy seems more efficient and more natural. 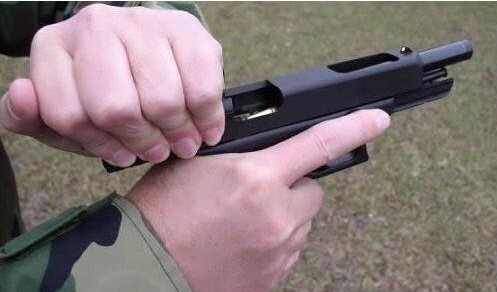 I am now practicing a slide release after reloading technique that an Israeli instructor teaches because that one makes more sense to me for shaving those precious fractions of a second off of a critical movement that will make a difference in competition or, heaven forbid, a gunfight. Some of the Israeli gun handling techniques, while unusual from what I have already learned, are worth it to me to look at and practice because they make sense also. So the bottom line here is that you have a lot to choose from. If your instructors are reputable and have actual real-world experience, then it is safe to say that what all of them are teaching you is based on some pretty sound principles and tactics. Pick which of the techniques from each area (and from each instructor) that work best for you (stance, grip, malfunction clearing, aiming, racking a slide, etc). Practice your chosen techniques until you have complete mastery and fully developed muscle memory for them. I honestly hope that none of us should actually get into a gunfight. But if (when?) we do end up in one, we will not suddenly be able to rise to the ability of super-star combat warrior gun-fighting techniques. We will always fall back to our level of training. So we must make sure that our training includes many different perspectives, we should practice each of them over and over, and then pick the one that works best. Then, practice some more until it is second nature and our level of training makes our natural actions as highly perfected as possible. Learn and practice a wide variety of skills from each area, but master to perfection the skills from each area that will serve you the best. Whether it is in competitive shooting or an actual emergency scenario, using consistent and thoroughly practiced gun handling skills will help you win. As the saying goes: professionals don’t practice until they get it right. They practice until they can’t get it wrong. When it comes to firearms, especially for us concealed carry practitioners, staying sharp requires constant practice to keep those skills and muscle memory in top form. Constant practice takes trips to the range and lots of ammunition. But there is a way for you to get much of the required practice that you need to keep your muscle memory and shooting skills in top form through a method called "dry firing." 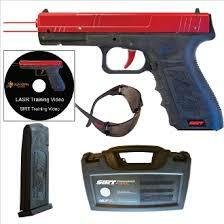 There is a very sophisticated method for dry fire training available today known as the light Activated Shot Reporter (LASR) system. 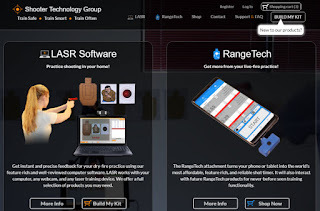 The LASR system is used with many of the laser training aids and laser barrel inserts available for firearms today, and especially the SIRT pistols and AR-15 bolts by Next Level Training. With these, you can not only get valuable muscle memory training and skills practice but also receive instant feedback on your shooting. I'm an approved referral agent for the LASR App training system. When you are ready to check out, click on the "Gift Card or Coupon Code" button at the bottom left of the page, then enter my code GONZO58 in the "Discount Code" box upon checkout as shown in the images below to receive a 10% discount on LASR and SIRT training equipment. Click on "Add gift card or coupon code"
A few videos definitely worth watching. The Israelis offer some different gun handling and tactical styles than what many of us in the U.S. are used to. But I have a hard time discounting it when it's coming from an Israeli Special Forces instructor who has spent some time protecting his small country fighting the evilest people on the planet. I'm going to practice these techniques and see how they work at my next pistol match. A lot of what this guy shows seems to shave some valuable time off of the whole mechanical process for dealing with malfunctions, reloads, etc. Another one worth watching. In fact, I've watched this one a few times just to get some of the intricacies of the stances that he teaches. These guys seem to have a very fast and efficient shooting style. Israeli combat shooting with Masada Tactical - the audio is a little crappy at times due to the wind noise, but the techniques are interesting and worth a look.